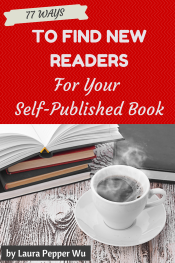 Today we’re tapping into the great minds (and successes) of independent authors with this post 10 Golden Nuggets of Info : The ONE Thing That I’ve Done to Get More Readers. You’re gonna want to bookmark this! 1. “Take advantage of KDP Select Free Days” – Kathy Lynn Harris, Blue Straggler and Wendy Nelson Tokunaga, The Girl in the Tapestry, His Wife and Daughters and Falling Uphill, Robert B. Lowe, Project Moses. Sensing a theme? The fact no fewer than three indie authors cite the KDP Select Free Days on Amazon as the ONE thing they’ve done to get more readers speaks volumes. For Kathy Lynn Harris, her book giveaway generated thousands of downloads and scores of reviews, all from people that may not have otherwise given her book a shot. 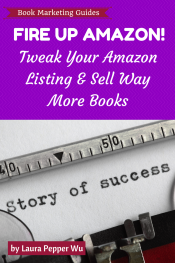 This, in turn, led to boosting her Amazon sales rating to #1 in her category! Take away nugget: Participate in the KDP Select and make it part of your overall marketing strategic plan. 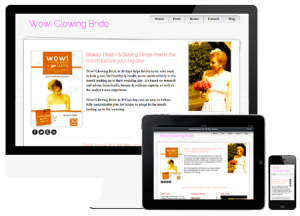 Learn more about KDP Select and how it can boost your sales here. 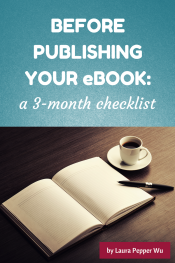 Author Samantha March says, “Getting reviews and so much exposure in a few short weeks really helped up my sales and get me more publicity.” Blog tours worked so well for Erik Atwell, he saw a considerable jump in book sales. Take away nugget: Publishing guest posts on a variety of well-trafficked blogs will undoubtedly reach readers you may not have otherwise. Author Dina Silver engaged in a sponsored promotion with Ereader News Today, a website offering tips and reviews on ebooks available for Kindles. For $100, they featured her on their website and Facebook page which lead to 800 sales in one day! Take away nugget: Advertising can be expensive, but going about it strategically can lead to oodles of return on your investment. Be sure you carefully consider and not overlook including your key words and Amazon search words, book cover and product description. 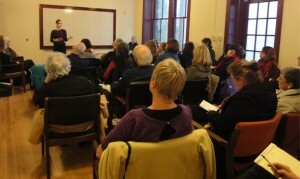 Author Jeff Bennington says getting this right is far more important than a lot of authors realize. Take away nugget: Keywords make it easy for readers to find you. Making sure yours are strategic and well-placed will ensure people will find you and your book. Check out my post about the importance of keywords on Amazon. Take away nugget: If you aren’t on Twitter now, get on it. Getting an account is easy and free and can lead to big payoffs in getting more readers. Don’t “get” Twitter? Check out this post – Twitter for authors who don’t get it. Take away nugget: Showing readers (and potential readers) your personality can do wonders for your following. It can let people know the “real you” and become more approachable than the headshot on the inside jacket of your book. Suzannah posted her videos on her launch page, but you can also post yours on YouTube, blogs and tweet them. Whether you reach out to bloggers, comment on posts, develop a story angle and pitch it to members of the media, doing just one thing each day to move your book forward can do wonders for your books sales and author platform. Take away nugget: Committing to tackling one thing each day keeps you engaged in promoting your book and is way easier to achieve than a gigantic list of “to-do’s” from your marketing plan. Take away nugget: There’s an old marketing adage that says a potential client (or, in our case, reader) needs to see your message 7 times before he or she is comfortable enough to buy it. Giving readers those “impressions” will familiarize them with your book and serve as a reminder to purchase it! “I threw all shame to the wind and contacted websites, businesses and blogs that target my audience and had great success.” Author Jenny Ladner Brenner said. She found many mediums were receptive to her pitches and one site in particular even featured her on a spread complete with a photoshoot! Take away nugget: Sticking your neck out and approaching lots of people in your genre can have enormous returns. So, you may get a few “no’s” but the “yes’s” can lead to amazing things. Take away nugget: Smooshing your promotional efforts into a short amount of time can raise a lot of buzz about your book. Aim for sites like Kindle Nation Daily, eReader News Today, Book Bub and similar sites that reach a high volume of readers.